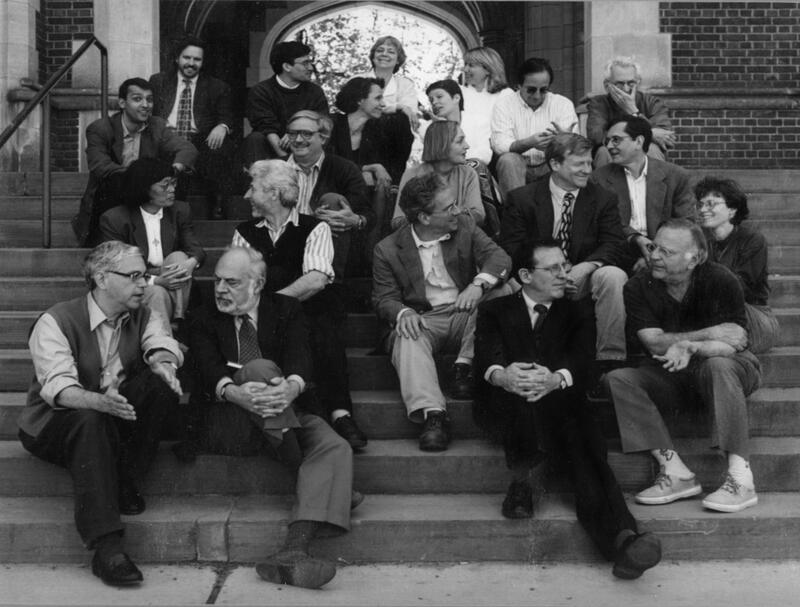 In 1996-7, the full professors were Paul Benacerraf, Sarah Broadie, John Burgess, John Cooper, Harry Frankfurt, Gilbert Harman, Richard Jeffrey, Mark Johnston, Saul Kripke, David Lewis, Alexander Nehamas, Scott Soames, Bas van Fraassen, and Margaret Wilson; Bob Freidin and Beatrice Longuenesse were associate professors; Elijah Millgram, Gideon Rosen, and Gopal Sreenivasan were assistant professors; and Sarah Buss was a lecturer. Barbara Herman gave the Carl G. Hempel Lectures (formerly the Three Lecture Series). There were several major developments at Princeton during the 1990s. The first was the construction of Marx Hall adjoining 1879 Hall. Graduate seminars were no longer given in Firestone Library, but instead took place in the department's own purpose-built seminar room: 201 Marx Hall. Just as importantly, the members of the department were no longer spread over several buildings, but had offices next to each other in 1879 and Marx. The second major development was the appointment of two senior women: Sarah Broadie in 1993, and Béatrice Longneusse in 1994. Up until the nineties, Margaret Wilson, who had joined the department in 1970, was the only woman to have held a senior appointment in philosophy at Princeton. Understanding why there are so few women in philosophy, and how that issue might be addressed, is an on-going research project of one of the senior women currently in the department.